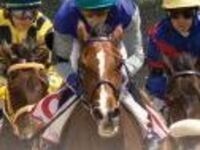 Sam Houston State University Alumni Association invites you to SHSU Day At The Races Kentucky Derby. This event takes place at the Sam Houston Race Park. Admission includes entry to the Sam Houston Race Park and all-day buffet in the Winner's Circle restaurant. Once purchased, tickets will be available for pick up at Sam Houston Race Park Will call beginning at 10 am on May 4th.